Very interested in the microsquirt stuff. Please posts lots of pics and info on that. I have all the stuff to burn my own chips for the Ducati, but I need to learn fuel mapping. Almost rather do a squirt so I have more control of the engine. 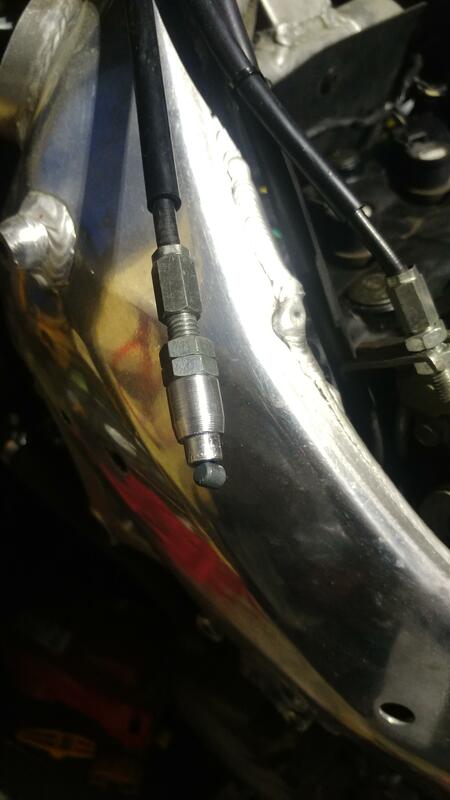 Not sure what all the micro squirt does, but I've been reading over on a CB1100F forum about an ignition setup from a company call Ignitech. 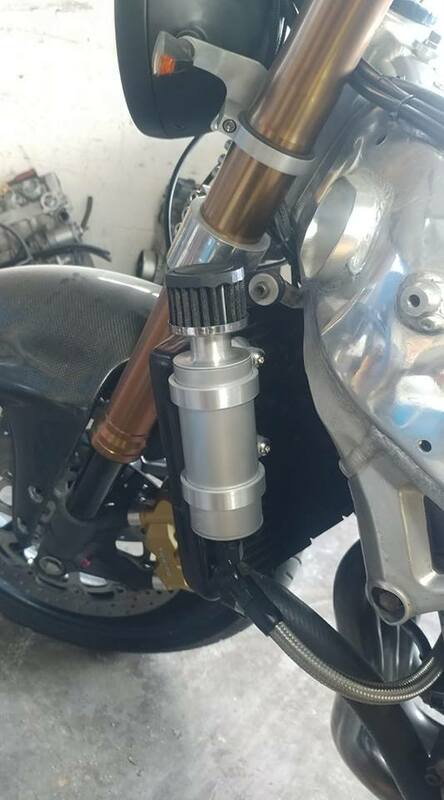 I don't know about all bikes, but in the case of the CB1100F they can supply the box with plugs to make it just plug in to the bike, no extra charge. The box just does ignition settings, but you can tune it from your laptop and you have full control. Can even do things like cut the ignition during cranking until after so many revolutions. The setup is $140, which seems very fair. There's a more expensive option that allows "3-D" ignition curve tuning, but I have no ide what that would really mean. Not at all sure how this would or would not play in to all this, but thought I'd throw it out there. 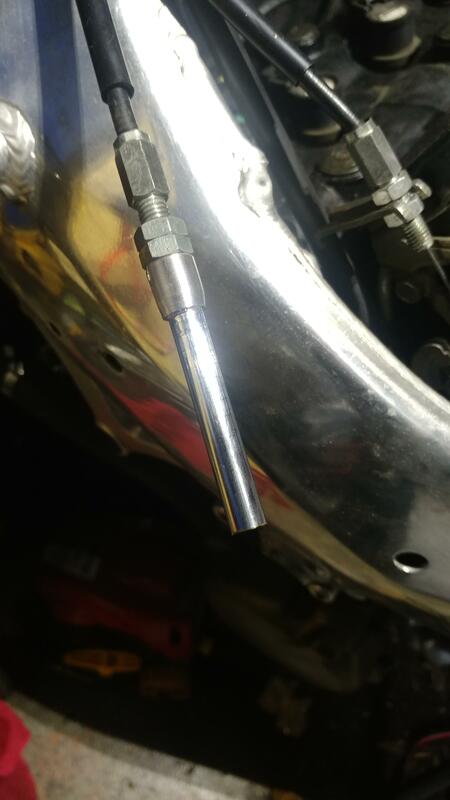 made a new throttle stop.. much better than how i had it rigged last time.. be good until i swap everything over..
so everytime i come to a stop my bike is smoking... you think that breather being out front is enough to pressurize the case? ,aybe push some oil out? i can't see any visible leaks i dunno..
i think i might make a shield for it to see if it helps.